It is increasingly common practice for employers, lenders, landlords and others to conduct background checks before issuing extending a job offer, issuing a loan or signing off on a lease. That’s why if at all possible, you should explore expungement or sealing of your Florida criminal record. 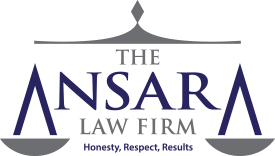 At The Ansara Law Firm, our Fort Lauderdale expungement attorneys can help you determine whether you are eligible to have your criminal record sealed or expunged, and if so, how best to navigate the bureaucracy. Understand that a judge has authority to deny your request, so it’s best to hire a criminal defense lawyer who can help guide you through the process. Sealing your record and obtaining an expungement are two different things. To understand which you should pursue, we first need to ask whether you were adjudicated guilty (i.e., convicted) as an adult. We will also need to know whether you previously had a record sealed or expunged. Both factors will generally disqualify you, though there may be exceptions. There are many advantages to having your record sealed or expunged. The biggest upside is that you can legally deny or fail to acknowledge arrests covered by the record that is sealed or expunged. F.S. 943.053 is one of Florida’s open records laws – one of the most liberal in the nation. What is says is that with only a few exceptions, adult criminal history records are public. That means anyone can access them for any reason, usually just by making a request and paying a small fee. Your arrest record will contain not just the charge, but sometimes the officer’s detailed explanation of the circumstances, witnesses and allegations surrounding your arrest. One of those few exceptions is having your record sealed (access is made highly restricted) or expunged (files are removed or destroyed from public record). Administrative expungement. This is allowed when an arrest (either juvenile or adult) is made by mistake or in violation of the law. In these cases, the record may be expunged via application to the Florida Department of Law Enforcement. Lawful Self-Defense Expungement. This may be applied when the state attorney or statewide prosecutor certifies you acted in lawful self-defense, according to Chapter 776 of Florida Statutes, and further that charges were either dismissed or never filed on. Juvenile Diversion Expungement. This is available to juveniles who complete an authorized diversion program for non-violent misdemeanor offenses other than domestic violence. Automatic Juvenile Expungement. The criminal history of a minor will be automatically expunged by FDLE when the minor reaches the age of 21 (or 26 if the offense was committed while individual was in a juvenile prison or correctional facility). This assumes that certain conditions are met, such as defendant not having been charged or convicted of a forcible felony as an adult or had charges direct-filed as an adult. Early Juvenile Expungement. Individuals aged 18 to 21 can apply to have their juvenile criminal history record expunged under certain conditions. Generally, the prosecutor must approve of it and defendant must have a clean record for the last five years. Human Trafficking Expungement. Persons who are victims of human trafficking can ask the court to expunge the criminal record that resulted from the arrest or filing of charges for an offense that was committed as part of a human trafficking scheme. Note that effective as of 2013, a previous expungement or sealing of a criminal history record in a jurisdiction outside of Florida does not automatically disqualify someone from having their Florida criminal history record expunged or sealed also. Although there is no requirement for you to have an attorney to ask for a criminal record to be sealed or expunged, the fact of the matter is it often involves complex legal issues. In many cases, the help of an experienced, knowledgeable Fort Lauderdale expungement attorney is extremely helpful. For more information about having your Florida criminal record sealed or expunged, contact the Fort Lauderdale Criminal Defense Lawyers at The Ansara Law Firm by calling (877) 277-3780.